Offers a comprehensive video, storage, and management solution. 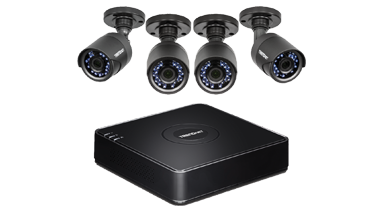 Includes a pre-installed 1 TB hard drive plus four 1080p HD IR analog cameras. 2 MP resolution. Records one week of continuous video.